A new facility, which opened in 2013, has been created to support our research on both typically-developing children and children with problems in areas such as memory, attention, language and reading. Situated in an easily-accessible dedicated single-storey building next to our Main House, the facility provides testing rooms and a waiting area suitable for families. Close contacts with the University teaching hospital have allowed the MRC CBU to build up a substantial panel of subject volunteers with focal brain lesions (>300 patients), over 150 of these with standardised and normalised structural MRI. This gives the Unit one of the most extensive patient bases worldwide for human neuropsychology, with research into disorders of attention, language, memory, emotion, executive control and many additional aspects of cognition. Electroencephalographic (EEG) recordings are made using a 128-channel active electrode Brain Products EEG setup. All recordings are performed in an acoustically and electrically shielded chamber. The lab is equipped with a Polhemus 3DSPAce Fasttrack Digitisation System, ERTS, E-Prime and Cogent stimulation systems. For data processing, we have at our disposal several commercial software packages: Curry, BESA, ASA, SPM, Scan, and Brain Vision Analyzer. We also develop our own analysis tools using the Matlab programming environment. The EEG lab hosts a variety of research projects, which focus primarily on exploring the human brain mechanisms responsible for speech and language function. Our experiments mainly use ERP (event-related potential) techniques and include both visual and auditory ERP recordings as well as behavioural tests. further information about the EEG laboratory. The MRC CBU fMRI Facility began operations in December 2005, hosting the first Siemens 3T Siemens Tim Trio in the UK. 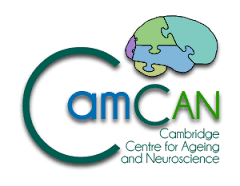 We are a full-time research dedicated facility and support the Cambridge-wide cognitive neuroscience community. In December 2014 our scanner was upgraded to a 3T Siemens Prisma, with 32- and 64-channel parallel transmit head coils. With its high speed data network and over 100 terabytes of data storage space to support functional neuroimaging, the MRC CBU now has one of the most advanced systems for the acquisition and analysis of functional neuroimaging data sets in the world. See further information about the MRI facility. The MRC CBU currently runs two psychophysiology laboratories, using BIOPAC MP100 systems to record heart rate (HR), galvanic skin response (GSR), and electromyography (EMG) data. These serve as valuable measures of peripheral nervous system function in a variety of experimental designs. We also have a BIOPAC MP150 system that can measure GSR and HR in the fMRI environment. Data is analysed using BIOPAC Acqknowledge software and also via software developed in-house. Research at the MRC Cognition and Brain Sciences Unit is supported by a panel of volunteer members of the public who take part in our studies of attention, emotion, memory and language. We have over a thousand volunteers on our panel, ranging in age from 16 to 80+, who help our researchers test theories about the functioning of the mind and brain in healthy adults of all ages, as well as following brain injury or disease. The MRC CBU Volunteer Panel is always looking for new recruits. If you occasionally have a few spare hours and would be interested in helping us with our research, then read more … If you are interested in the kind of studies our volunteers take part in, then take a quick look at some our areas of research. The MRC CBU uses computers in nearly all aspects of our research activities. This ranges from data collection using stimulus delivery computers for testing volunteers to control systems for our fMRI and MEG brain scanners and other laboratory equipment. Once collected the data is sent to be stored in our large scale data storage system ready for analysis on our HPC (High Performance Compute) cluster. Then scientists analyse this data and write papers from numerous desktop computers or even on a laptop the other side of the world while preparing to give a talk. The computing group build and maintain all these services while ensuring staff are able to use these services and resources effectively. The technical department provide support for staff in designing, prototyping, building, repairing equipment/software for use in experiments or where else needed. This could be from a simple button box to a more complicated eye tracking experiment. They also manage item procurement, the processing of goods coming in and out, health and safety and making sure the equipment, building and you are as safe as possible. Also part of this team is the Graphics officer who is in charge of looking after all areas of media such as video, illustration, posters, web, photography and 3D modelling.